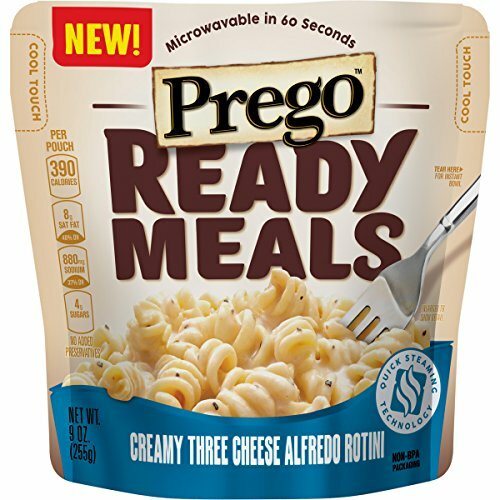 Prego Ready Meals Creamy Three Cheese Alfredo Rotini is a tasty option for your busy lifestyle. Just pop the convenient pouch in the microwave, and in 60 seconds you’ll be enjoying tender rotini pasta in a rich and creamy Alfredo sauce seasoned with black pepper. Delicious! If you have any questions about this product by Prego, contact us by completing and submitting the form below. If you are looking for a specif part number, please include it with your message.